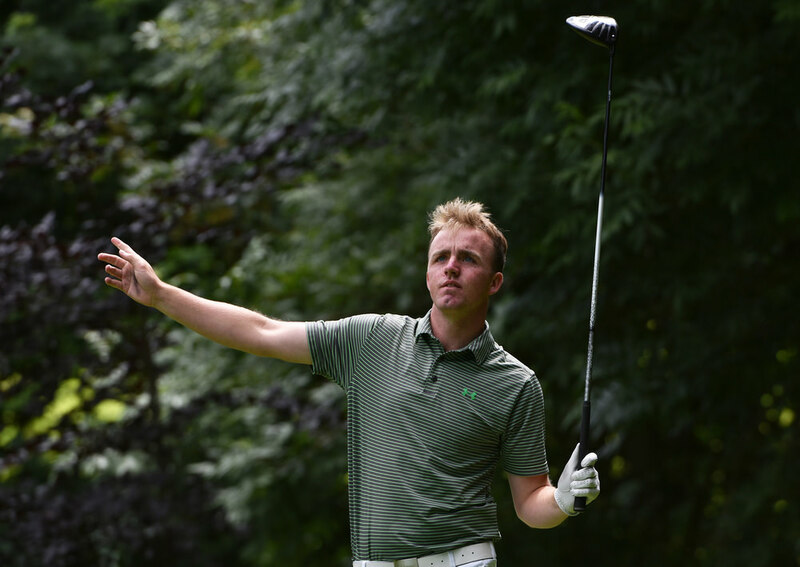 Kilkenny's Mark Power added the Irish Boys Amateur Open title to his win in the Peter McEvoy Trophy when he closed with a one under 69 to win by six strokes on seven under 273 at Castle. 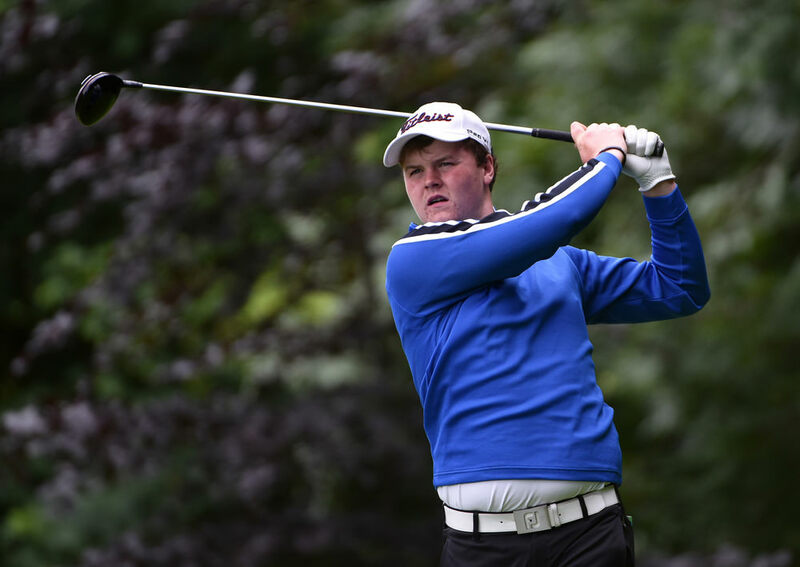 A son of three time former Irish Close champions Eileen Rose Power (née McDaid) and Eddie Power, the new champion led by two strokes at halfway but went into Friday's final round tied for the lead with Co Louth's Thomas Mulligan on six under par. Mulligan birdied the first to go in front but then bogeyed the next five holes before picking up a shot at the ninth to turn in 38 to Power's 37. 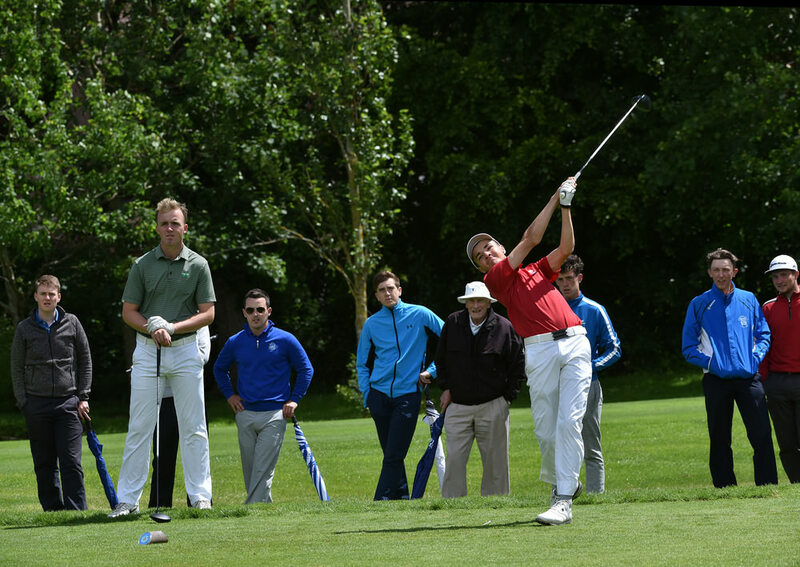 On the back nine, it was the Kilkenny player who was by far the steadier and birdies at the 10th, 16th and 17th for a homeward 32 rubber stamped his dominance as Mulligan followed a bogey at the 11th with a birdie at the 13th before a double bogey six at the last gave him a 75 and solo second place on one under 279. Ballyhaunis' Andrew Hickey closed with a third successive 70 to take third place on two over 282 with Fortwilliam's Hugh O'Hare fourth thanks to a best of the day 67. England's Arrun Singh Brar and Taylor Stote were fifth and sixth respectively with Rosslare's John Brady sharing seventh place with England's Charlie Thornton as French visitors Ross MacIntosh and Dimitri Mary rounded out the top 10 on seven over. “I was thinking that anything under par would be good enough, anything around par or under par," Power said. "Thomas got off to a rough start... but I was happy with my back nine. “It was a little windy, there were a few tricky pins. It was a little bit harder than the first few days. Around the greens I was struggling a little bit, I could really hole that much and I was two over after nine but I knew there were a few more birdie chances on the back nine. “The course is a lot like Kilkenny. The greens are really fast in Kilkenny and obviously they’re fast here as well. The minute I stepped on the green here I had a good feel. You have to keep it in play, there are a lot of trees so you can find yourself chipping out a lot. The greens roll lovely here so if you give yourself chances you will hole a few.